There was a time when words penned down on a piece of paper served as the greatest message of love for anyone!. But now, having taken the world by a storm, the Internet and social media is the in-thing to declare love and endearment. It is through social media that a father chooses to express his feelings for his lovely daughter! Dwayne Johnson has done just that. Dwayne Johnson took to Twitter and Instagram to chalk out future plans for his adorable daughter, Jasmine, who is only 16 months old! Yes, you heard it right! This former wrestler, actor, and singer posted a very inspiring message to his daughter. 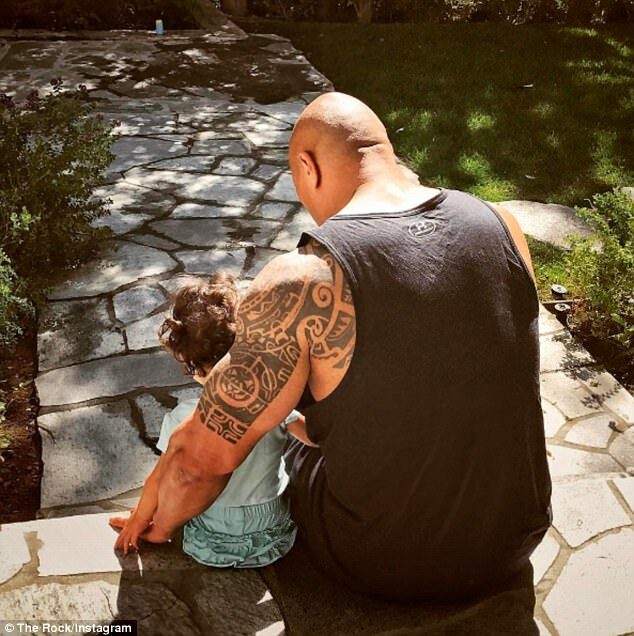 This message would make every girl want to have a father like him!Dwayne ‘The Rock’ Johnson recently shared a photo of himself with his little daughter, enjoying a father-daughter moment. It is then that, Dwayne says to his daughter, “There are mornings in life where there are no words.This is not one of those mornings. Jazzy, let daddy tell you his goals. By 5, you’ll be looking people in the eye when you firmly shake their hand. By 8, you’ll know how to fish, drive daddy’s pickup truck and do cardio. And by 10, you’ll be able to directly say to people, “Great job, I like it a lot, but let’s see how we can make it better”. Helluva plan right sweetheart?” And the little toddler replies with a “Buh!” looking at a bug on the ground!! Adorable, isn’t it?? Time and again, Johnson has proven how much of a lady’s man he is and how much he adores the women in his life. Namely, his mother, wife, and daughters! His tweets about the women in his life go on to show how much he respects them. One must feel grateful for their presence in is life! 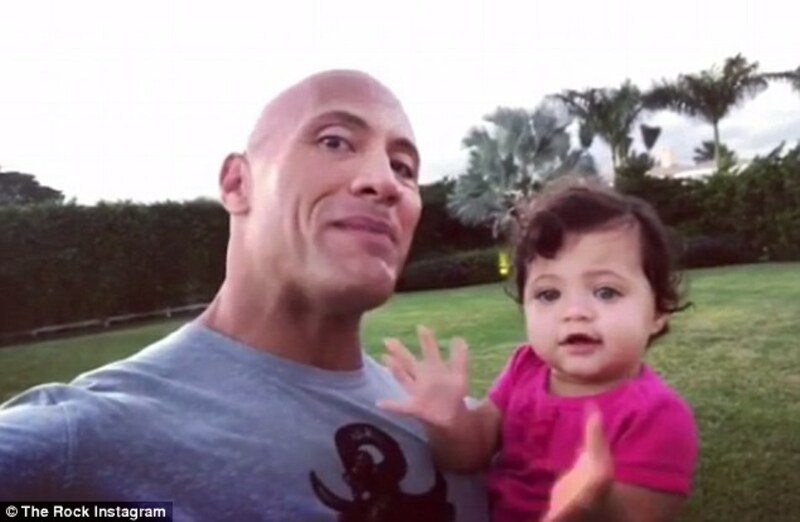 Jasmine is Dwayne’s and wife Lauren Hashian’s first child. His other daughter is Simone Alexandra from his marriage with Dany Garcia. The Baywatch star actively tweets and posts pics on Instagram about his time with Jasmine. It appears that he is a doting father and loves to be around the kid as much as possible. He wants to see his baby grow up and has plans for her!! As expected of him, Johnson is raising his daughter in all the right way possible. When she grows up a little, he wants her to be headstrong and shake hands firmly while looking people in the eye. He wants her to know that this is the right way! When she grows a little bigger, he wants her to fish, drive his pickup truck and do cardio! This is to let her know that there is no gender prejudice in the way of her dreams and achievements. And when she is old enough to make an impression, she would have the power to change the world and make things better!! 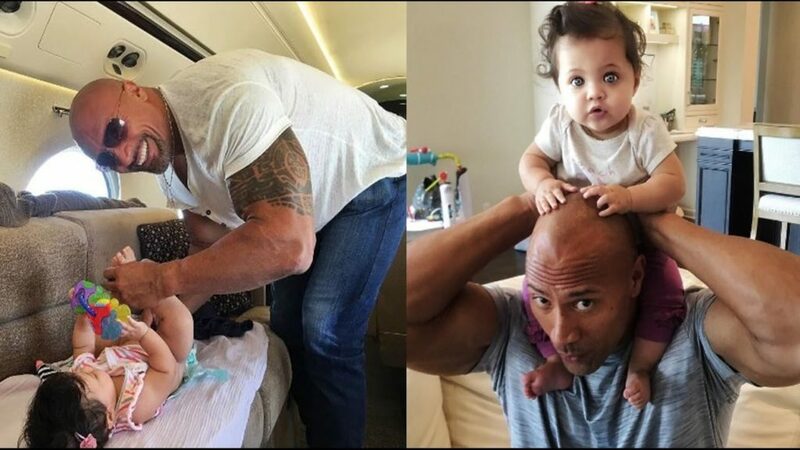 A round of applause for Dwayne Johnson who is in every way, a good human being, great artist, and an adorable father!! Fatherhood goals, much? ?